Take about 1/4 cup of Roasted gram(pottu kadalai) and grind it into a fine powder and sieve it and keep it ready. From the powder made, use only 1/4 cup of it for the recipe. The rest save it for some other time. 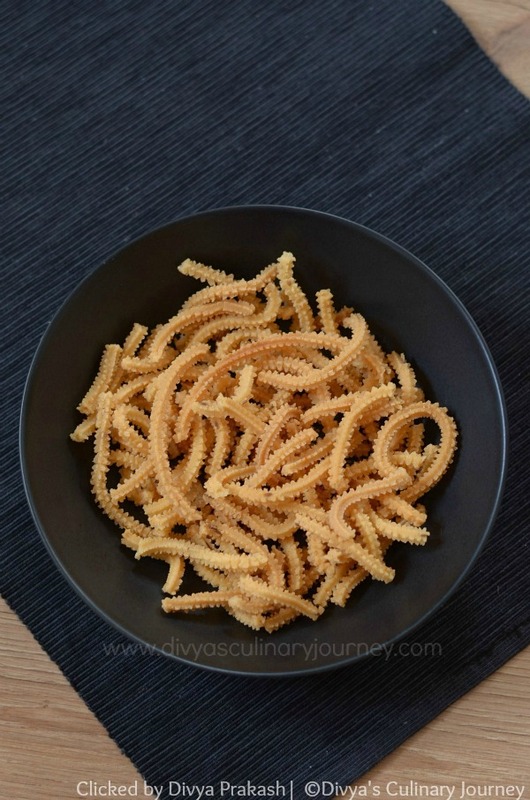 How to make Butter murukku? Sieve together rice flour, besan and prepared roased gram flour in a bowl. To this add cumin seeds, sesame seeds, asafoetida, chilli powder, salt and butter and mix well. Then add water little by little and keep kneading till a smooth dough is formed. It shouldn't be too loose or too dry. Then take the murukku maker and use the star shaped nozzle. Add some murukku dough into it and keep it ready. In the mean while heat oil and check if the oil is ready. Drop a little piece / ball of dough it has to come up in the surface at a medium pace - neither sink down (oil not hot) nor come up faster (then it means oil too hot). Now press the murukku directly onto the oil carefully. Don't over crowd it. After sometime turn it to the other side and then when all the sizzling stops, remove the murukku from the oil. Repeat the process for the rest of the dough. Drain any extra oil, let it come to room temperature and store it in air tight container. I used store bought rice flour. If you have home made rice flour you can use it. While making dough for murukku, I used a little less than 1 cup of water. But the quantity of water required depends on the quality of flour. While kneading add water little by little. If dough becomes too loose, don't worry you can adjust by adding more rice flour. But do not use the loose dough as such then murukku will be soggy and will absorb more oil. The same way, do not use thick dry dough as such, then it will be hard to press and also the murukku will be hard. The temperature of oil is also very important. 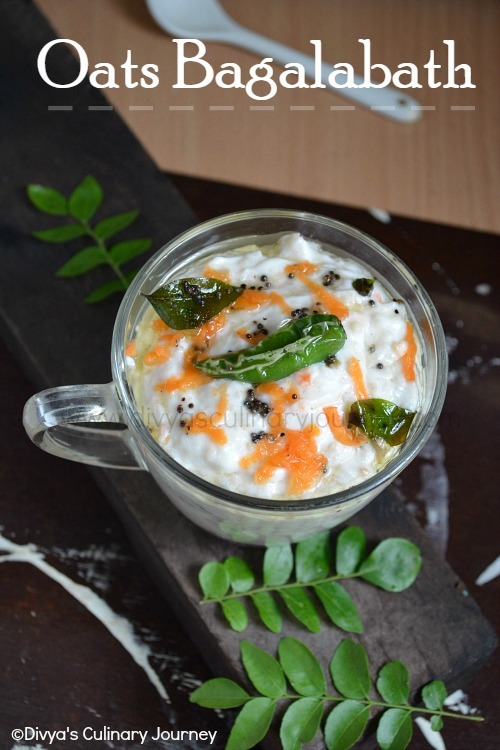 The key for crispy melt in the mouth murukku is to maintain the temperature through out. If in between the batches, you feel that the temperature of oil is dropping or increasing wait till it reaches the required temperature and then proceed. If Interested check here- I have made a list of Diwali sweets and snacks. 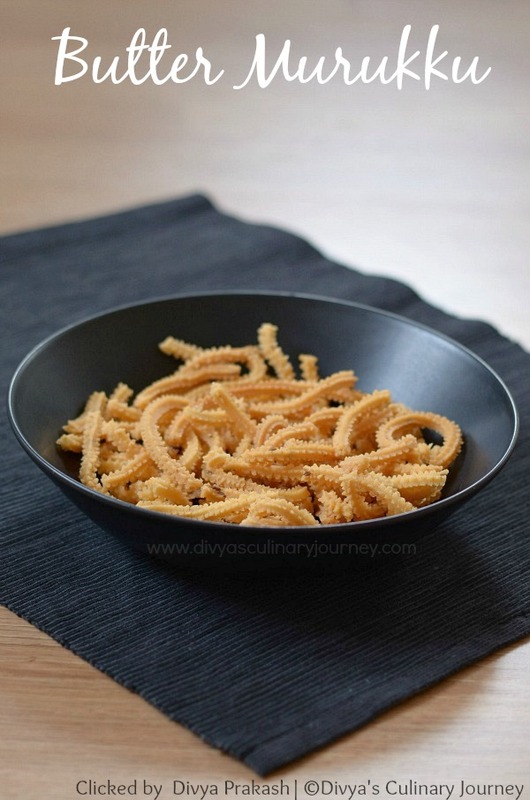 Murukku looks crunchy n i prefer addition of fried gram.. delicious one..
My kids favorite murukku da, murukku looks super crispy and cute looking murukku, Neat clicks Divya ! Crispy and yummy murukkus, they have come out perfect.. 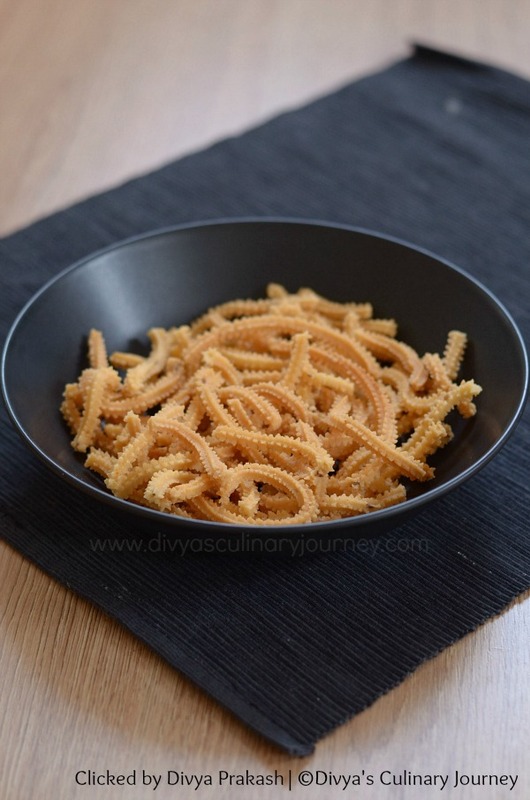 Butter murukku is seriously additive.. Lovely pics and the delicious crispy murukku..